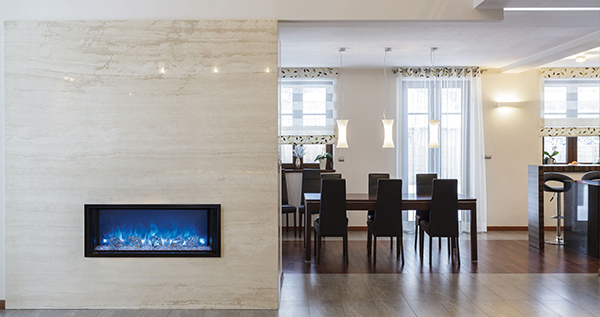 The Frameless design gives a beautiful edge to edge flame presentation. The Landscape FullView 2 is available in five different lengths for any application. An optional 2 stage heater can also be included to heat up to 42 square meters. Wall Tether Touch Screen Control.